A foster home means that you will open up your home and provide a safe, loving, nurturing and temporary living situation until the foster pet can recover physically and emotionally from the stress of their previous living situation. You are providing much needed human socialization as well as basic training that will make our dogs even more highly adoptable! Being a foster is a temporary placement that allows the animal to be taken off of the kill shelters euthanasia list or avoid going into the kill shelter. 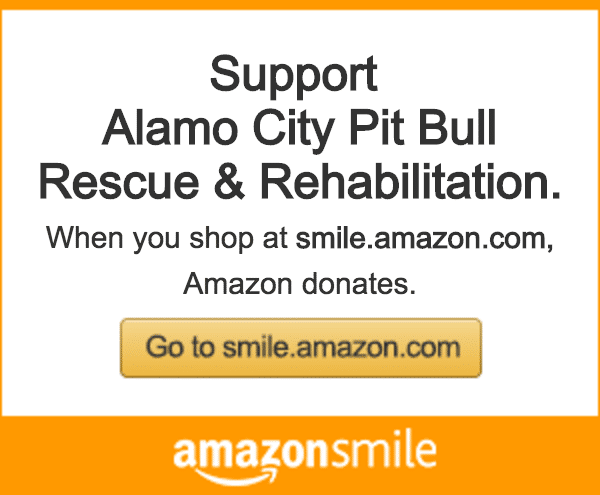 Alamo City Pit Bull Rescue will give you all of the information and resources you need in order to successfully foster. Because of the breed stereotypes, our dogs are harder to place into forever homes than most. Foster situations can last from as little as a few days, to as long as several months. This all depends on the type of case you take on. Medical fosters will take longer than healthy dogs. There are several reasons that we need foster homes, but the main ones are because we do not have a physical shelter to place the dogs in until we can find forever homes. Sometimes, the puppy is too young to be adopted out, so we need a safe place for them to stay until they are old enough for adoption. We need fosters for dogs who are recovering from surgery, illness or injury and they need a safe, quiet place to recover. We need fosters for dogs who do not do well in the shelter environment, dogs that have not lived in a home before or has not had much contact with people and needs to be socialized and most often, the shelter only give 72 hours or less before the dogs are euthanized. freeing up a spot so the shelter or rescue can take in another dog. giving your foster dog the time he needs to be ready for adoption. helping the shelter or rescue learn more about the dog so he can end up in the best home possible. socializing the dog to a home environment and possibly getting him used to being around other pets and different types of people. Even if you think that you cannot, we have 11 reasons why you should! What are my responsibilities while fostering? What if I want to speak with other fosters and get advice, or just share some happy moments? No problem! We’ve got a Facebook Foster Support Group you are welcome to join!! We know fostering can be so rewarding, and also a bit stressful as we have our own families and pets to care for. Our group is intended to alleviate some of that stress through sharing thoughts, photos, ideas, and just have a group of folks to relate to. Click below and you can start sharing away! Will open in a new tab/window. You may download, print, sign and return to any event or arrange for pick-up.